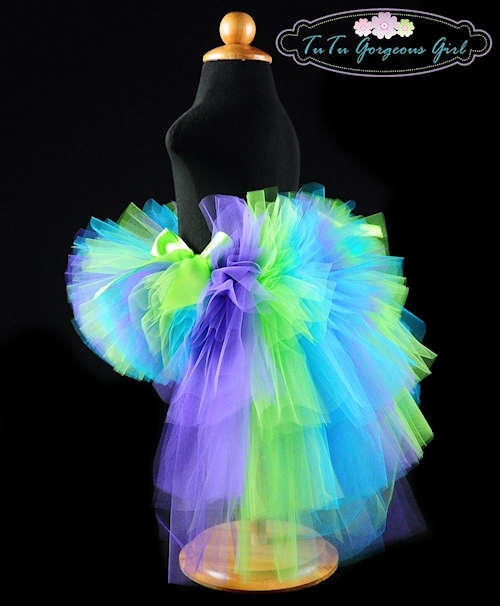 Turquoise purple lime green bustle tutu perfect for a birthday girl, dance recital, Halloween costume. 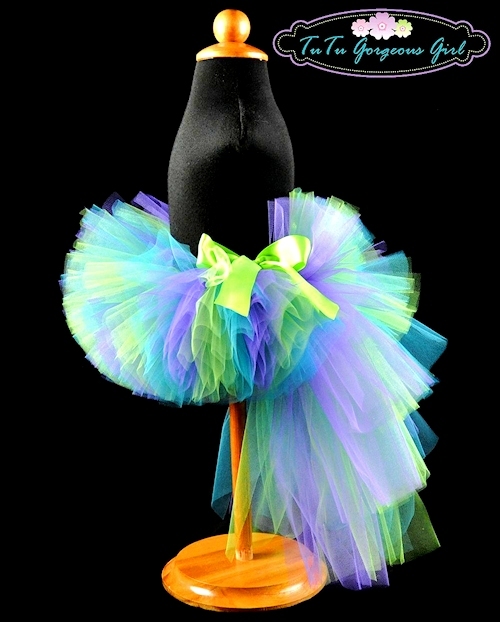 The Siren Bustle tutu is a stunning choice for a mermaid Halloween costume, dance recital, photo prop or birthday tutu. 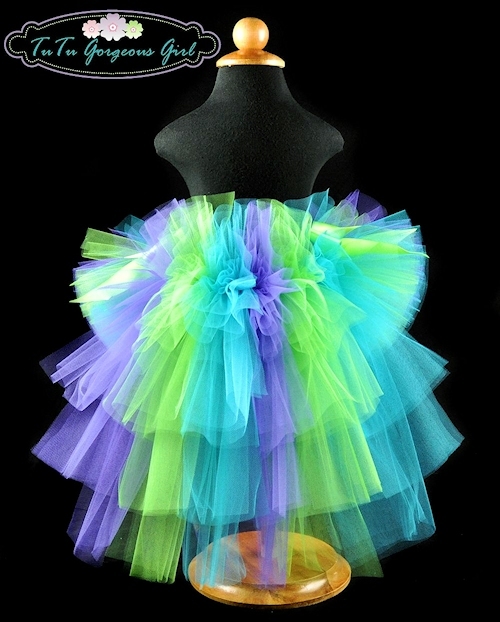 This bustle tutu is made with turquoise, lime green and purple tulle. 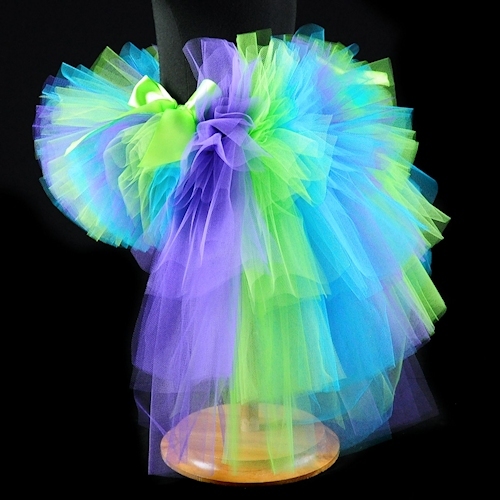 The tutu comes with two satin bows tied at each side of the bustle.